a special wine for special occasions. SCHILD Estate must rate amongst the Barossa Valley's more amazing family success stories, a young Edgar Schild taking the reins at just 16 years of age when his father passed away in 1956, and going on to replace his dad's small mixed farm with a-now 182ha (450 acres) at Lyndoch on which three generations of the family live today - and producing from it some of the Southern Barossa's finest wines. Leading those wines is their flagship Pramie, in German meaning bonus or premium, and which could not be more appropriate – the just-released 2013 Pramie Shiraz an exceptional limited-release for giving serious thought to for that next special-occasion dinner or celebration. Judy Watson, one of today's Schild Estate family owners, says 2013 was an "incredible" year for Shiraz in their part of the Barossa, enabling the family to achieve their constant aim of creating wines reflecting both the best of the vintage, as well as the best of the land from which the wines come. you're doing Christmas in July this month. ONE TO NOTE: FOR those doing the Christmas in July thing this month, a rewarding drop to enjoy with the Christmas pudd is Rymill's 2013 June Traminer – a luscious, botrytis-affected "sticky" whose full-on flavours will go just so well with the pudding and a goodly dollop of custard or ice-cream. And while most consider Traminer a dessert wine to enjoy with puddings and sweet delights like lemon curd tarts and passionfruit panacotta, you'll find it a good drop too with such Thai cuisine main courses as beef satay with peanut sauce, with Indian chicken and coconut curry, or if you are not into the hot and spicy, with pork chops heartily peach glazed. Well worth it at $21 for a 375ml bottle. with grilled Moroccan spiced chicken. LINDEMANS now have no fewer than eleven red, white, sweet and sparkling wines under their Early Harvest label, a range that delivers wines 25% lighter in alcohol - and that of course equates to 25% fewer calories as well – without compromising on flavour or enjoyment. So it means not only can you cut down on alcohol and calorie intake, you can enjoy that extra glass with lunch or dinner without feeling guilty, or an extra bottle with family or friends on a week when you've maybe decided to limit just how many nights you'll uncap one at dinner-time. The Early Harvest 2014 Semillon Sauvignon Blanc is a particularly nice crisp and refreshing drop sourced from vineyards across a reach of South Eastern Australia, and brings together fresh fruit flavours from the Sauvignon Blanc component, coupled with signature citrus from the Semillon. Well priced at $16 it makes for a good choice on the table with grilled Moroccan spiced chicken and salad. ONE TO NOTE: ALTHOUGH Campbells of Rutherglen have been making their Bobbie Burns Shiraz since 1969, Winemaker Colin Campbell says he's confident the 2013 that they've just-released evolved from one of their finest vintages ever. 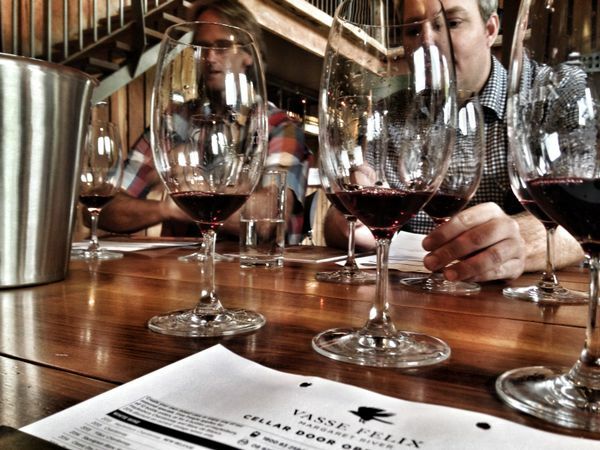 "It was a wonderful vintage that's sure to be very special in time," Colin says. "Plentiful Spring rain prepared the vineyard well, and mild to warm conditions over Summer gave the fruit time to ripen evenly, and to maintain good acidity for harvest." While rewarding drinking now with plum and mulberry fruit flavours, fine tannins and suggestions of liquorice and cacao, it's a wine to tuck away to age contentedly for even greater enjoyment around a decade down the track. 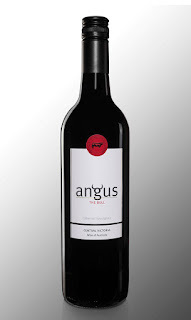 A great steak wine, at $22 match it nicely too with grilled lamb loin chops or a slow-roasted lamb leg. And for an interesting conversation piece over your dinner choice, the core fruit for this wine came from 50 year old vines on the Bobbie Burns Vineyard – that was the site of the first Campbells' plantings 145 years ago in 1870. As well, playing a role in the making of this 44th vintage wine was Jules Campbell who is Colin's daughter, and a fifth generation Campbell Winemaker. Wine buffs in California's Napa Valley, this month paid an amazing US$15.8m (AU$20.43m) at an auction of donated wines and wine holiday packages to raise funds for local health care and education. The opportunity to taste some of the Napa Valley's rarest wines with their makers fetched individual bids of a near-quarter million US dollars… and one couple paid $190,000 to take home three dozen bottles of a sought-after label Cabernet Sauvignon, the chance to have dinner on the estate where the wine was made – and with a 2005 Morgan Roadster sports car thrown-in as part of their purchase. Other lots included travel packages to Rome, Hong Kong and Las Vegas, Italian fashionwear and a trail-bike ride linking ten top Napa Valley wineries. 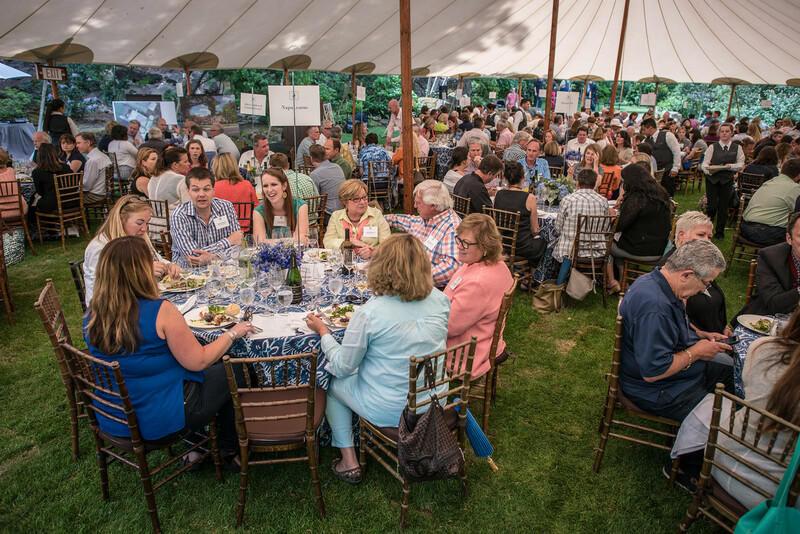 The charity auction has been held annually for 34 years by Napa Valley Vintners. 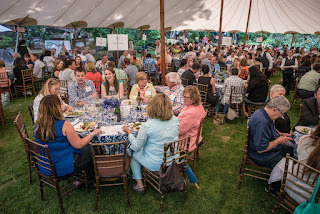 JUST some of the 850 wine buffs who attended this month's Napa Valley Vintners' auction that raised US$15.8m (AU$20.43m) for local health care and education. Hungry travelers and wine enthusiasts from across the globe will make their way to South Australia to indulge in Tasting Australia (May 1-8, 2016). From regional farming practices to coastal seafood feasts, Australia's signature eating and drinking festival offers eight days of curated culinary programming—a combination of passionate epicureans, legendary winemakers, and gastronomic trailblazers. 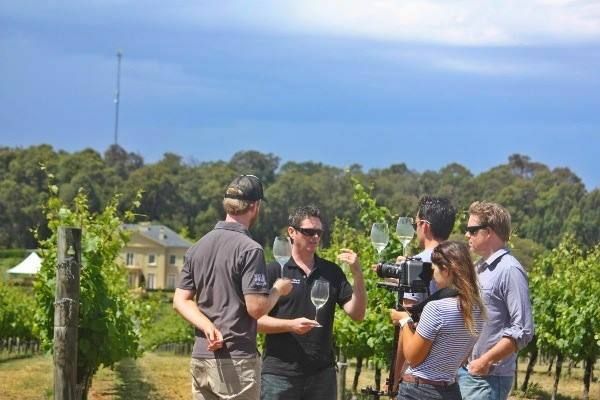 Traditionally held as a biennial event since its inception in 1997, the growing success of Tasting Australia throughout recent years had triggered demand for the festival to evolve into an annual event as of 2016. 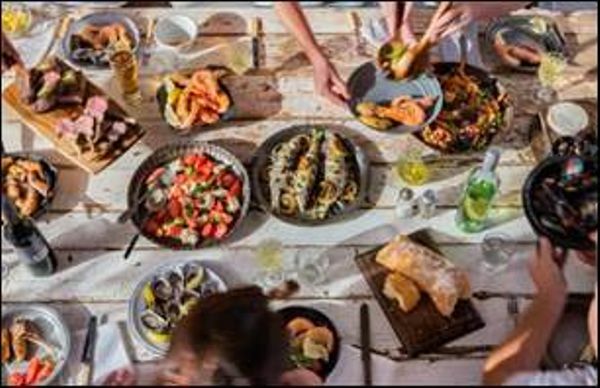 The Tasting Australia festival is a journey through South Australia's best produce from the hands of authentic food producers and chefs, celebrated by food heroes. Attracting around 50,000 people, the festival is the perfect opportunity to enjoy the best that South Australia has to offer in produce, food products, wine and beer, and overall hospitality and tourism. The 2014 festival held more than 80 events across the state, and each focused on “origins” by exploring the legacy and unique roots of South Australia's food and wine culture, honoring the history and personalities behind the culinary experiences. 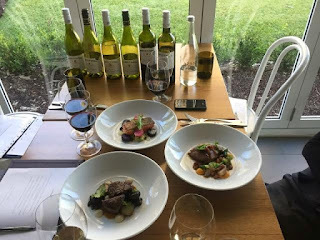 One of the many sold-out regional events was the “Lime Cave Degustation Lunch” held at Maxwell Wines in McLaren Vale. The luncheon was themed around the mushrooms grown in the winery's hand-carved limestone cave. Another favorite was the “Origins Dinner” that was held in a secret location in the capital city of Adelaide, where close to 300 guests dined on dishes prepared by 30 chefs using South Australia's premium produce, paired with local South Australian wines and locally-made spirits. The creative team that took Tasting Australia to new heights in 2014 will remain at the helm of the festival in 2016. Simon Bryant, celebrated local chef, and South Australia's wine expert Paul Henry will remain as the event's creative directors. Barossa food legend Maggie Beer remains strong as the event patron, as well as the involvement of local talent and international food and wine personalities. With access to Australia's world-famous wine regions and the finest local produce, the capital city of Adelaide serves as the ideal destination for the Tasting Australia 2016 program. 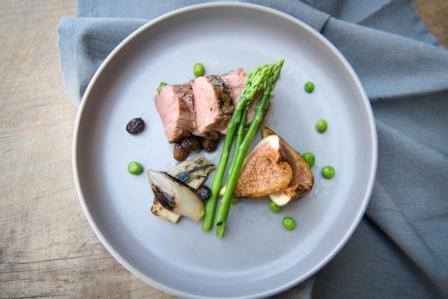 Named one of the “Top 52 Places to Go” in 2015 by The New York Times, Adelaide plays host to the eight-day festival and offers its attendees the very best highlights of South Australia's culinary landscape. The 2016 Tasting Australia event will reflect South Australia's ultimate food and wine touring route, The Epicurean Way—the ultimate gastronomic journey that takes visitors on a self-drive adventure around four of South Australia's premier wine regions all in the one itinerary. Tasting Australia uncovers what South Australia's food-scene is all about: crusading local and seasonal produce, promoting its diverse culture, championing its premium producers, indulging in authentic and unforgettable dining experiences. In celebration of this new touring route, the 2016 program will include a dinner created by Simon Bryant, which pairs five South Australian chefs with five local producers at live cooking stations. The menu is designed to showcase the culinary regions along the Epicurean Way and further to Kangaroo Island and Coorong. Local food heroes participating include Lachlan Cowill (Hentley Farm), Tim Bourke (Southern Ocean Lodge), Peter Davies (KI Beehives) and Kris Lloyd (Woodside Cheese). For more information on Tasting Australia visit www.tastingaustralia.com.au; and for more detail about South Australia visit www.southaustralia.com or the official Facebook and Twitter pages. For additional media inquiries, images and information, call the South Australian Tourism Commission at 323.871.1151. A RIPPER Riesling out of Tasmania's Pipers Brook Vineyard is their 2014 that's a great match now with Thai pork stir-fry – or give it a little more bottle age through to the end of the year, and you'll find it marvellous in the party room with Festive Season finger-foods such as salt and pepper squid or whitebait fritters. The company's flagship white, this elegant drop with its intensity of aroma and flavour reflects all that is so rewarding about the cool, maritime climate of the West Tamar sub-region of Tasmania's north. And for Pipers Brook in 2014 conditions were near-perfect for flowering and fruit set in December, to be followed by a long warm Summer and mild Autumn that resulted in small bunches of berries loaded with ripe and concentrated fruit flavours. This is a wine for true Riesling buffs, steely and awash with flavours of green apples and nectarines, lemon notes, and with minerality, slate and great acidity. A buy-now, enjoy-now drop, it will equally reward with some time in the cellar. Pay $34 and match with those food suggestions above, or anything Asian with a light spiciness to it. Go to www.pipersbrook.com for help with finding local suppliers. ONE TO NOTE: WHEN Aussie beef lovers make a Cabernet Sauvignon one of the country's most sought-after reds to go with their favourite cut, it's saying something when the winemaker says he's let-loose his "most accomplished release to date..."
Medium to full-bodied, this is a cracker red that's all about overflowing blackberry and mulberry flavours and firm tannins, and at a $22 made purely to put on the table with whatever's your favourite steak. Spicers Vineyards Estate in Pokolbin will be hosting two winemaker's luncheons in partnership with Tyrrell's Wine. Intimate in style, guests will have the opportunity to ask questions of the winemakers and indulge in their passion and knowledge of Australia's oldest wine region. Guests can enjoy a sumptuous seasonal menu – with many ingredients sourced straight from our garden – all paired with award winning wines. Spicers Vineyards Estate is a luxuriously appointed estate set amongst rolling vineyards and native bushland just two hours' drive from Sydney. 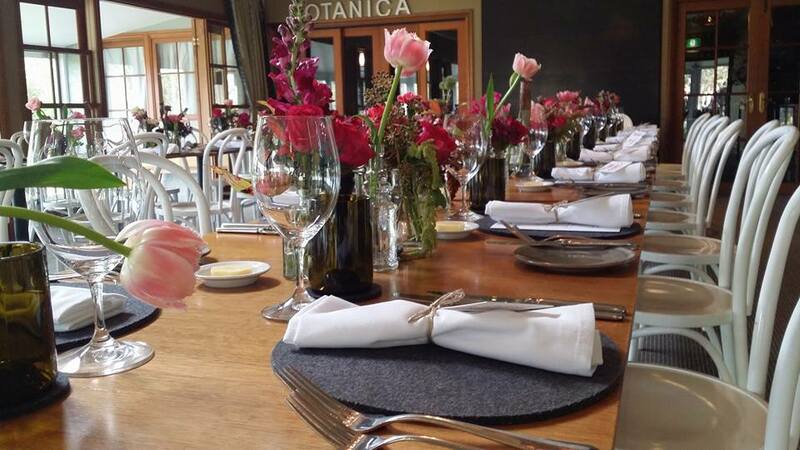 Restaurant Botanica, Spicers Vineyards Estate's on-site Modern Australian restaurant, has a regionally distinct style with a menu focussed on seasonality and freshness, complemented by sweeping views across the retreat's private vineyard to the Brokenback Mountain Range. 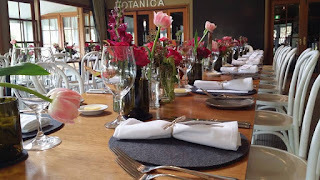 With a wine list boasting some of the Hunters best vintages, Restaurant Botanica was also awarded Two Wine Glasses in the 2014 Gourmet Traveller Wine List of the Year Awards. or a hearty Winter's casserole. THERE are a couple of interesting things about the Mulligan family and their St Mary's Vineyard 15km to the west of Penola in South Australia. ONE is that they're on land that's made up of Terra Rossa soil over limestone just like their neighbouring Coonawarra, yet they're defined officially as within the Limestone Coast, and the other is their unusual – and rewarding – Carillon label. The first there's little we can say much about, beyond that to most their wines appear more Coonawarra than Limestone Coast, but the latter we heartily suggest that you can do something about, and that is to give a try to this Carillon that's unusually made up of Cabernet Sauvignon, Shiraz, Cabernet France and Merlot. In 1985 Barry and Glenys Mulligan planted their first grapes, reaping the pioneering rewards of these in 1990. They made their first Carillon blend in 1999, giving it the name after the dictionary definition of carillon as "a collection of bells (in their case 'Belles'?) that work in harmony to produce something special..."
go so well with seafoods or veal chops. ONE TO NOTE: WINE buffs who enjoy their seafood know how rewarding can be white fish fillets pan-fried and shared with a good Sauvignon Blanc Semillon. And one of the latter worth trying is a 2014 from Voyager Estate in WA's Margaret River, because here's a Sauvignon Blanc Semillon that's all about bouncy-fresh tropical and citrus fruit flavours coupled with a lovely natural acidity. At $24 you'll find it good value for the price, and while excellent with those white fish fillets, or other seafoods including shellfish, if you lean more towards meat dishes team it up with veal chops grilled and sprinkled with rosemary.